It is hard to grasp the experience of dyslexia, because it is difficult to verbalise something that affects verbal faculties. The neatest solution is to show, not tell. Letters leap with antic, unfixable urgency; symbols invert, words shake. I am not dyslexic: I found that it was (just) possible to read what was being said, though I felt strangely panicked, as though I was trying to clutch at something that was slipping from my literal and figurative grasp. I blinked a lot; after a few minutes (longer than it would usually take me to read text of that length), I felt quite dizzy. 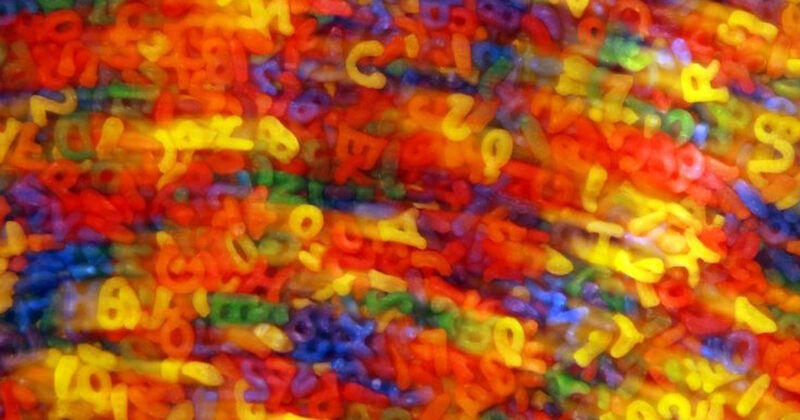 “The easiest way to describe dyslexia is as if the words are wobbling around the page when you try to read them,” Daisy Bernard, a dyslexic, explains. “So in that way, the site is pretty accurate. It is a bit exaggerated though, but I guess there’s different levels of dyslexia. Dyslexia is characterized by difficulty with learning to read fluently and with accurate comprehension despite normal intelligence. This includes difficulty with phonological awareness, phonological decoding, processing speed, orthographic coding, auditory short-term memory, language skills/verbal comprehension, and/or rapid naming. Developmental reading disorder (DRD) is the most common learning disability. Dyslexia is the most recognized of reading disorders, however not all reading disorders are linked to dyslexia. 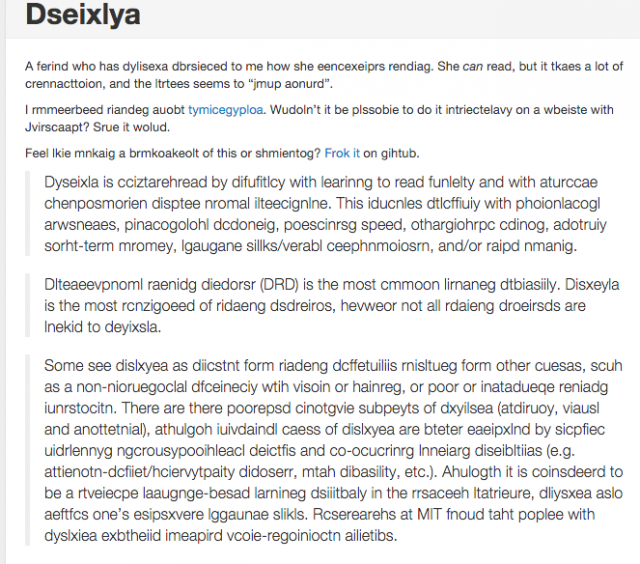 Some see dyslexia as distinct from reading difficulties resulting from other causes, such as a non-neurological deficiency with vision or hearing, or poor or inadequate reading instruction. There are three proposed cognitive subtypes of dyslexia (auditory, visual and attentional), although individual cases of dyslexia are better explained by specific underlying neuropsychological deficits and co-occurring learning disabilities (e.g. attention-deficit/hyperactivity disorder, math disability, etc.). Although it is considered to be a receptive language-based learning disability in the research literature, dyslexia also affects one’s expressive language skills. Researchers at MIT found that people with dyslexia exhibited impaired voice-recognition abilities.